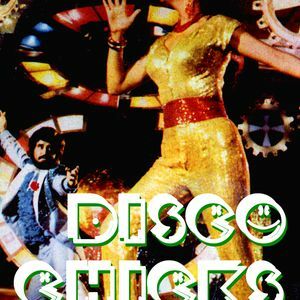 New Delhi Disco Chicks - Bollywood Mixtape Vol. 1. Asha Bohsle , S. D. Burman, SHARON PRABHAKAR, Rahul Dev Burman / Asha Bhosle, Amit Kumar, Shailendra Singh & Laxmikant-Pyarelal and more. "dancing, singing, life is thrilling" so the lyrics run in Bappi Lahiri&apos;s Tum Tum Tumba, and there is no better description for the wild sound of Bollywood&apos;s movies during the 1980&apos;s. A totally unique melding of traditional Bollywood musical tropes and western pop influences - from disco and pop, through to European rhythms to bare-faced copies of massive hit songs. Bollywood&apos;s fantastically prolific movie industry spawned a thousand incredible songs, this is just a small collection of my current favourites. Quality - made my flat sound exotic!